All the staff team share the vision that Lowther is a school that is inclusive, safe, exciting and a centre of learning excellence for all your wonderful children. Although all of the Foundation Stage team have a class base, the team will all work across different parts of the phase. This will ensure all of the children benefit from the different areas of expertise and knowledge within the wider team. Year 1 classes each have a full time teaching assistant. In Year 2 teaching assistant support is provided in the morning with the additional adults working with strategic groups across the two classes in the afternoons. 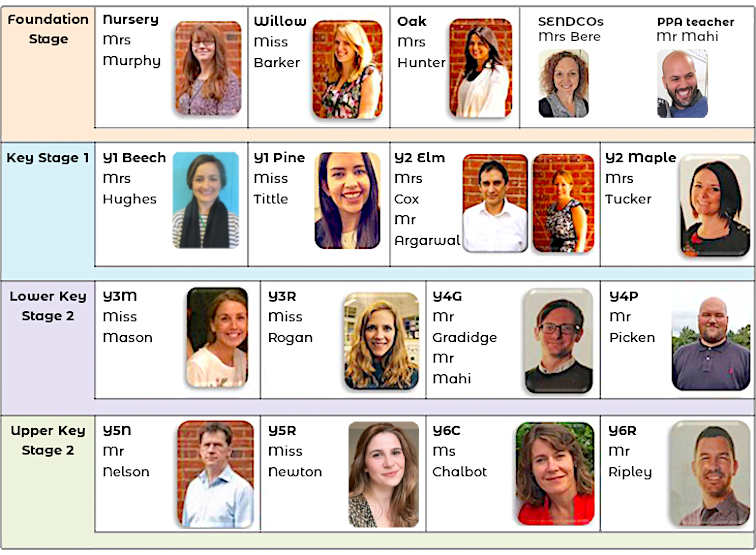 Teaching assistants in Lower and Upper Key Stage 2 are deployed strategically across all classes. Classes will also have between 2 and 3 hours teaching assistant support in the morning with further strategic deployment across the phase in the afternoon. 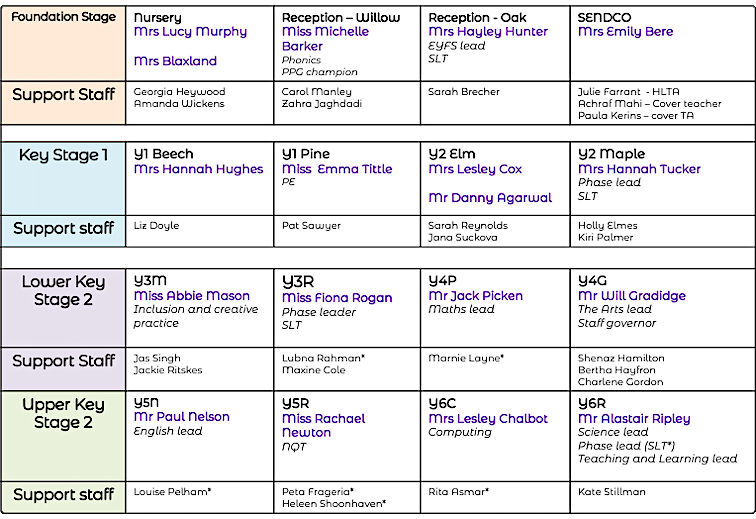 Many of our excellent Teaching Assistants are shared between classes. We're very happy with the quality and balance of skills and experience across the whole of our staff team and it promises to be a great year at Lowther.